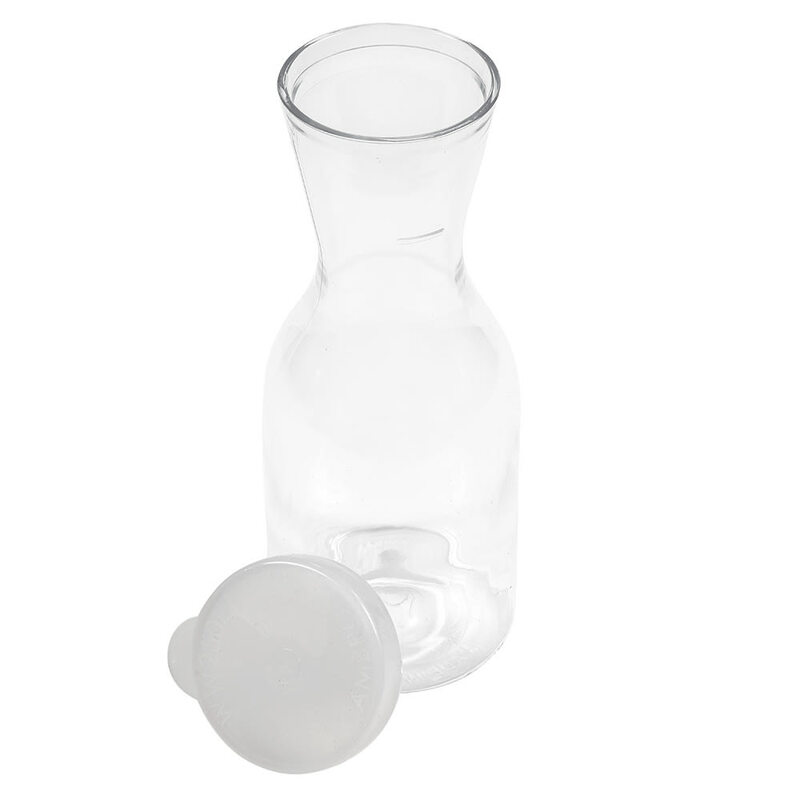 The Cambro WW250135 CamView® Camliter® beverage decanter is made of a proprietary polycarbonate formulation that resists damage from impacts and is lightweight. For simple cleanup, this material is safe in warewashers. Since this material is clear, it enables guests to see the product stored inside. A snap-tight lid comes with the Cambro WW250135 CamView Camliter beverage decanter, protecting the contents from contamination. "Great for giving our homemade salsa for our customers. Refills no longer take extra trips to serve them. We will order from you without hesitat..."
"I take these decanters to work in my lunch bag. Holds liquids in and very safe." "I use this item to provide dressing on the side for a salad to allow the customer to add the amount they like." Exactly what we needed. Very pleased with your product. "Great for giving our homemade salsa for our customers. Refills no longer take extra trips to serve them. We will order from you without hesitation."